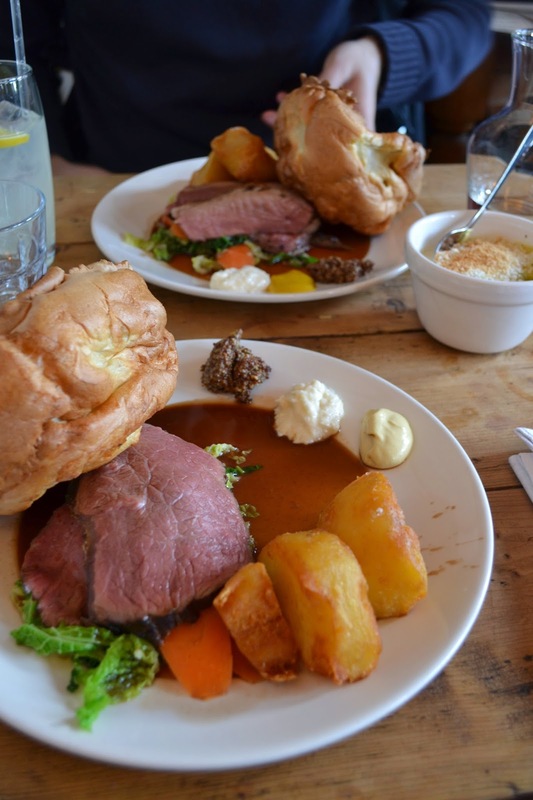 Today it is all about the English Sunday Roast, a traditional sunday afternoon dish, comparable to the German 'Sonntagsbraten'. I thougt I need to try it while I am here in London, and that's exactly what I did a few weeks ago.. Even though it is a traditional meal, we did not go to the most traditional place but to a rather fancy one in the heart of Angel. 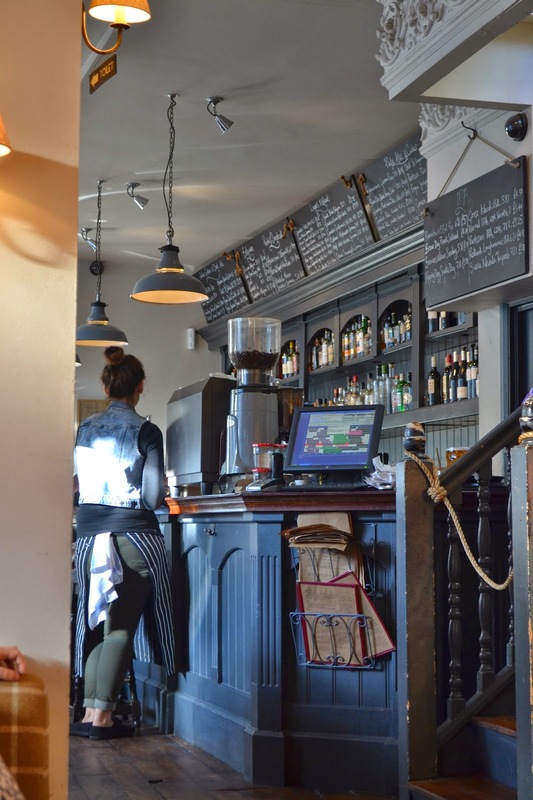 As always, I did some blog, google, timeout and yelp research before choosing a place to go to.. and that is how I came across 'The Pig and Butcher'. A traditional meal in a not so traditional atmosphere. Type of place: The pub/restaurant is kind of a fancy place, decorated in a very rustic yet chic way and reminds of a movie-like farm. Robust wooden tables and chairs, modest decorative elements and really friendly waiters make your Sunday afternoon perfect. Food: They try to get all their ingredients from local producers, so all the food is from England; the fish, the meat and the vegetables. They usually serve the lamb and beef rare and besides these two kinds of meet they offer pulled pork or roast chicken. You get your sunday roast with Yorkshire pudding, cream leeks, roast potatoes and some vegetables. While our plate was brought to us the friendly waitress also offered us different kinds of mustard and horseradish to eat with our Sunday roast. I enjoyed my beef a lot, it was very tender and tasteful and it was perfect with all the sides. I especially liked the roasted potatoes, which were crispy outside and soft inside. We also had a glass of their home-made lemonade…also a go-for! During the week their menu changes and they have many different sorts of fish, meat and other dishes. Price: To me it seemed a bit pricey, since you pay around 17£ for the beef Sunday Roast. Sure, it comes already with sides, but still the portion is not a very big one. I would definitely recommend this place though, as it is a great meal you get, in a nice atmosphere and lets you experience the English tradition. looks like such a nice place!! and those foodpicture...WOW!